Summer Games is less than a month away and athletes and coaches around the state are getting in last-minute practice sessions before their big competitions. Aquatics: Competition has been moved to Normal Community West High School in Normal. Construction at former host Illinois Wesleyan University has prompted the move. Aquatics competition at NCWHS will be Saturday and Sunday, instead of Friday and Saturday as in the past. Mini-Javelin: This new event in athletics will be take place on Saturday at the same location as softball throw. Parking Shuttle: Off-site parking will be available at ISU’s Parking Services on Main Street with shuttle buses running on a continuous loop from 10:30 a.m. to 7:30 p.m. Friday and 6:30 a.m. to 6 p.m. Saturday. Sun Safety: As part of Healthy Athletes, volunteers will be handing out information about safe sun practices along with sunscreen, lip balm and UV wristbands. Victory Dance: The dance has been expanded in Uptown Normal to allow for more space and seating. In addition, there will be a photo booth, free bottled water, souvenirs will be available for purchase and the Normal Theater will be showing a special movie for those who want a quieter atmosphere. Opening Ceremony: The Jesse White Tumblers will provide entertainment. Summer Games Mobile App: The mobile app will include maps, schedules, activities and other general information. The app will be available to download for Android and iPhones the week before the games. Volunteers: Want to have a front-row seat to some of the best in sports? Volunteer! Help is still needed at most of the venues. 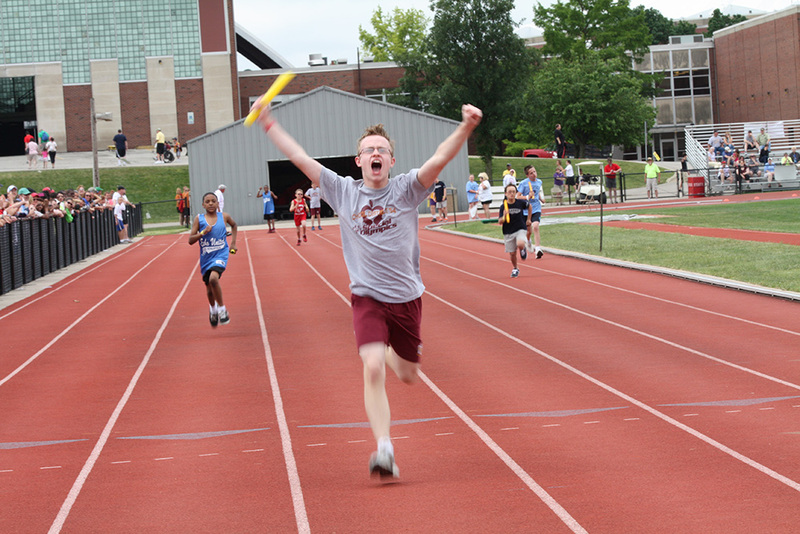 Please visit our Summer Games webpage to get the most up-to-date information and schedules as we get closer to the big event!